As Coordination Manager, Nguyen Hieu Trung is in in charge of daily operations of Project RENEW Coordination Office. He earned a B.A degree of Agriculture Economic and Rural Development from Hue Economic University, B.A degree of English from Hue Linguistics University as well as a number of internal and international certificates. 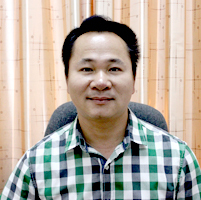 Prior to joining RENEW, Trung worked as a planning official of the Department of Planning and Investment of Quang Tri Province from 1998 to 2007.